Throughout our blogs on this blogsite we have attempted to show that there are commonalities between various addictive behaviours from alcoholism to addiction to substances, to behavioural addictions such as Gambling disorder, Hypersexual Disorder, Eating Disorders and even Obsessive Compulsive Disorder. We have suggested that there is an inherent stress and emotional dysregulation (inability to properly cope with emotion states) in all these conditions which give rise to an impaired ability to cope with stress and emotion which results in a state of undifferentiated emotion, or emotional distress which prompts a variety of obsessive compulsive behaviours to relieve this distress, and not to induce pleasure. In fact, a compulsion is a behaviour geared to relieving distress. As we will see over the next number of blogs these different cognitive distortions are often specific to various addictive behaviours. In other words, cognitive distortions between gambling, eating and obsessive compulsive disorders are based on an impaired ability to cope with stress and emotion difficulties but each disorder results in different errors of thinking, dependent on the addictive disorder in question and dependent on the manifest behaviour. For example, one of the various cognitive distortions in OCD is thought action fusion (TAF) – the idea that the belief that having a specific thought makes it more likely that a given behaviour will actually occur – whereas in eating disorders this manifests as something similar, thought shape fusion (TSF) – which comprises three components related to beliefs about the consequences of thinking about forbidden foods: a) the belief that having such thoughts makes it more likely that the person will actually gain weight or change his or her shape (likelihood TSF); b) the belief that having such thoughts is as immoral as actually eating the food (moral TSF); and c) the belief that having such thoughts makes the person feel fat (feeling TSF). We will explore other cogntive disortions in other blogs which are associated with other addictive behaviours and disorders. In this study (1) the researchers look at TSF in eating disorders. Interestingly in their discussion section they point to the use of more effective coping strategies in reducing stress and more engagement of emotions in reducing the TSF. 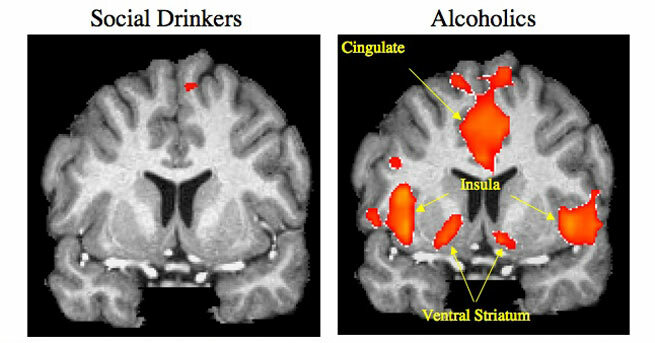 In other words, improved emotion processing of this “distress” state reduces the distress/stress that provokes compulsive behaviors (and obsessive thinking) thus in treating these and other addictive behaviours perhaps we should be addressing underlying conditions and not just manifest compulsive behaviours which are prompted by the cognitive distortions which in themselves the product of impaired emotion processing? 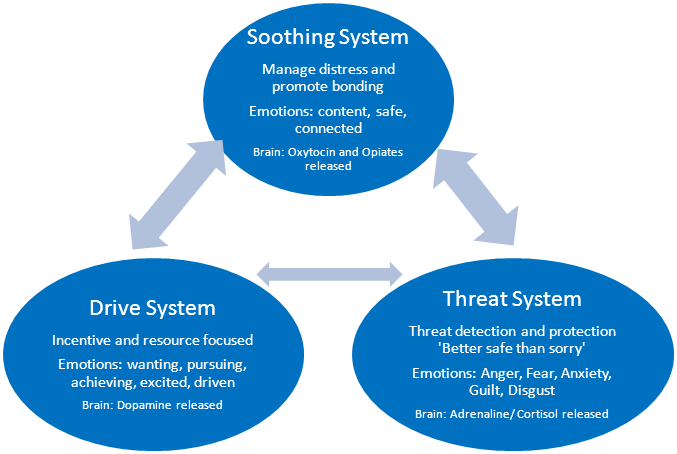 Thus stress/emotion dysregulation causes the emotion processing deficits which cause distress (undifferentiated emotion) which prompt compulsive action which is, in itself, guided by various cognitive distortions related to specific addictive behaviors/disorders. This sequelae is circuitous and becomes a viscous cycle in all addictive behaviours. 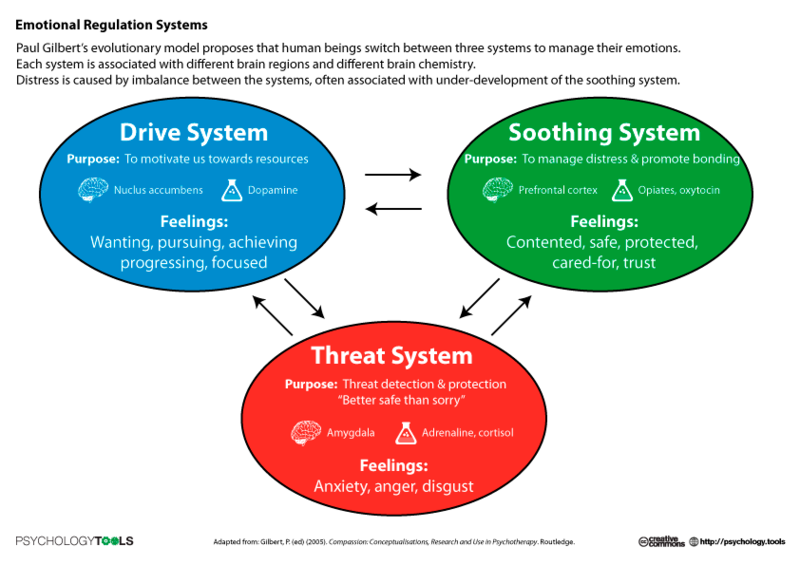 Hence we may need to treat the emotion processing deficits in order to reduce distress and the cognitive distortions which prompt compulsive behaviour. This concept of TSF comprises three components related to beliefs about the consequences of thinking about forbidden foods: a) the belief that having such thoughts makes it more likely that the person will actually gain weight or change his or her shape (likelihood TSF); b) the belief that having such thoughts is as immoral as actually eating the food (moral TSF); and c) the belief that having such thoughts makes the person feel fat (feeling TSF). In the original description of TSF the authors started from the hypothesis that people who have this distortion know rationally that thinking about forbidden foods does not really cause weight gain or changes in body shape, although this does not stop them from feeling it is so on an emotional level. The Thought-Shape Fusion Questionnaire (TSF-Q)7 was developed in order to measure this distortion and has shown good reliability and predictive validity. In addition to the psychometric measurement of TSF, this cognitive distortion has been induced experimentally. Based on a previous work about thoughtaction fusion,9 it has been hypothesized that the TSF distortion could be made explicit in a laboratory setting by asking people who report this distortion in the questionnaire to write a sentence about eating a forbidden food and then to imagine themselves eating the forbidden food to the point that it is aversive. In order to prove that hypothesis, in a pioneer study,7 the authors predicted that an experimental procedure could elicit the TSF distortion leading to: participants estimating that it was likely that they had gained weight or changed shape solely from thinking about eating the forbidden food; participants reporting a feeling of moral wrongdoing after thinking about eating the forbidden food; participants reporting feeling fatter after thinking about eating the forbidden food. Moreover they hypothesized that the experimental procedure would elicit anxiety, guilt and the urge to perform some corrective behaviour (e.g. checking in the mirror or having a “corrective image” such as imagining themselves to be eating celery or writing a sentence that they are eating carrots). Forbush and Watson,10 supported the ‘‘body displacement’’ hypothesis by demonstrating that individuals with eating disorders exhibited higher levels of emotional inhibition than did non-clinical controls. These researchers suggested that emotional inhibition may lead to hand emotional distress by turning it inwards, and confusing ‘‘real’’ affect with ‘‘body’’ affect, thereby experiencing increased feelings of fatness when in emotional distress. The aim of this study was to induce the TSF distortion experimentally by means of the following hypothesis: analysing whether the TSF distortion could be induced by anxiety in general or if it had a specific relationship with thoughts related to the intake of fattening foods. The TSF distortion was induced in patients with ED and a in a nonclinical control group, hoping that the specific induction of TSF phenomenon gives rise to a greater effect than the experimental condition of anxiety induction. As in previous research, the results of this study showed that participants in the TSF induction condition reported more guilt, more feelings of fatness, more likelihood of weight gain, and higher degree of moral wrong-doing compared with participants in both the anxiety and control induction conditions.7,11-13 Adding this results to the previous works, our hypothesis about the experimental induction of TSF is confirmed. This result seems to confirm the fact that “state” TSF is particularly related to specific eating disorder related variables (as guilt, feelings of fatness, likelihood of weight gain or moral wrong-doing), being TSF induction a type of food cue exposure (i.e., thinking about food). Higher levels of coping perceived efficacy, problem-focused engagement, and emotion-focused engagement contribute to decrease the state TSF, mainly among eating disorder patients under the TSF experimental induction. Lobera, I. J., Santed, M. A., Ríos, P. B., Prieto, I. R., Fernández, M. S., & Casals, O. G. (2011). Experimental induction of thought-shape fusion in eating disorder patients: the role of coping strategies. Nutr Hosp, 26(6), 1402-1411. Reblogged this on Gypsy Arcade. 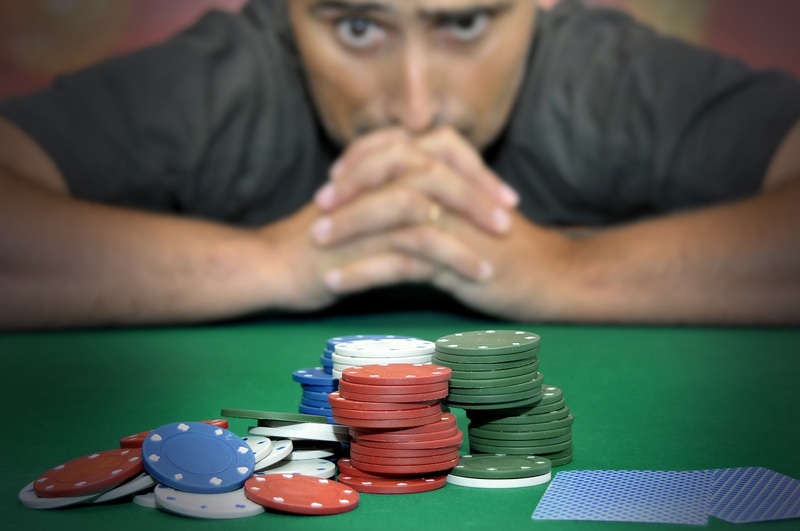 Why Do Gamblers Chase Losses?